Construction zones are busy places with many activities going on at once. With so much happening in a relatively small space, construction sites can be dangerous places if safety rules and proper protocols aren’t followed. Following a few common sense safety guidelines helps keep workers and on-site visitors safe from accident, injury or even fatality. Convincing people that following these guidelines is important sometimes creates another challenge. Many safety guidelines seem too simple to be effective. However, small things often make a big difference. 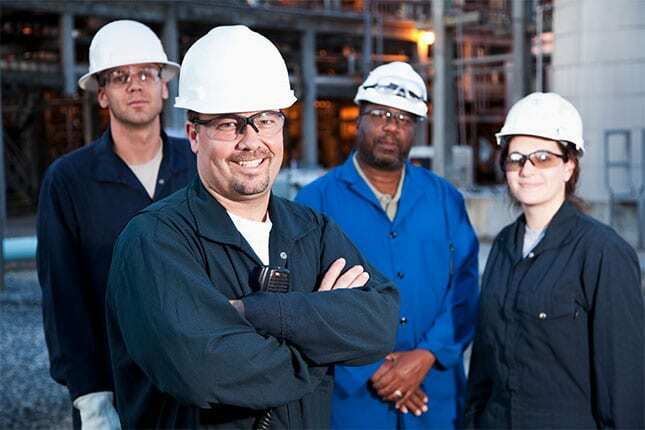 Promote a culture of safety by reiterating these tips during frequent safety meetings and praising workers when they adopt safe working practices. With everyone’s participation, workers can leave the site healthy at the day’s end. 1. Make sure all workers wear appropriate safety harnesses, reflective gear, helmets and goggles. People sometimes forget to wear safety attire, but the gear creates a foundation for safety and lowers the risk for accidents. Taking simple steps such as wearing safety gear can yield big reductions in accidents and injuries. 2. Keep the area clear around machines in motion. Machines create interest, and people often enjoy watching them work. However, crowded work areas increase the risk for accidents. To keep the area clear, you might post a sign on the equipment warning people to stay a specified distance away. You also might reiterate this safety protocol during meetings. 3. Use scaffolding properly and sufficiently secure it. Every year, about 4,500 injuries and 50 deaths result from scaffold-related injuries, according to the Occupational Safety and Health Administration. Reduce this risk by removing damaged scaffold parts, avoiding the use of ladders or boxes to reach higher areas and respecting its stated weight capacity. 4. Stress the importance of job site communication. Failure of workers to issue appropriate signals or warnings to one another is considered one of the so-called Deadly Dozen construction activities that results in a high number of accidents each year. Increased communication and warning signals help to keep everyone safe. 5. Create safety checklists. The high number of safety guidelines to remember may increase the likelihood that workers will forget to adhere to important safety tips. Creating checklists that include all the important considerations helps keep people safe on the job. 6. Properly store and maintain tools, such as your rebar construction tools, portable rebar cutters and manual rebar cutters. Regularly checking tools to ensure they’re in good working condition may help keep workers who use the tools safe. Proper storage also reduces the chance of people tripping over items, such as rebar construction tools, portable rebar cutters and manual rebar cutters, causing injury. 7. Avoid horseplay. Sure, everybody needs a break during the day and when working so hard, workers want to joke around and lighten the mood. However, horseplay also ranks as one of the Deadly Dozen construction site activities to avoid. Joking leaves people unaware of their surroundings and increases the chance for them to bump into a piece of equipment or cause an accident. Stay safe by saving the horseplay for after hours.